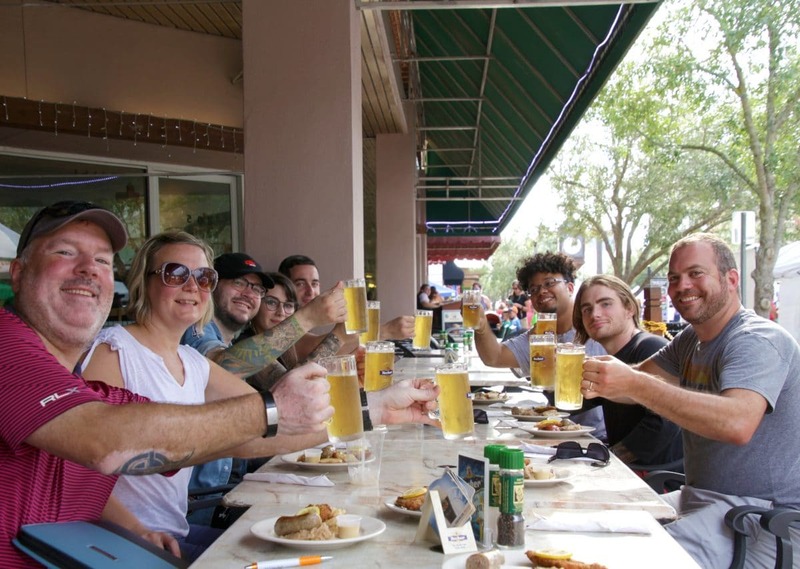 Explore Sanford, Greater Orlando's Culinary Gem! Sanford’s culinary scene comes alive on the Celery City Tour featuring five mouth-watering stops that will leave your bellies full and your thirst quenched. Adding some amazing local history to the mix is food for thought on this one-mile stroll through central Florida’s best foodie city. The tour takes us to traditional German fare and beer at Hollerbach’s Willow Tree Cafe, then bobble over to Boba Babes for some tea and a waffle taste, a biscuit and a beer at Tennessee Truffle, some soul food at Shantell’s and finishing off with Spanish tapas and vino at Luisa’s Cellar. Some stops may vary depending on date and availability. Tours are rain-or-shine, 4-hours long, include lots of local history, culture and scenery along Lake Monroe and through Sanford’s National Historic Districts. Food and drink tastes are included but please remember to bring some cash to tip your guide or make purchases along the way! Dietary restrictions and allergies are accommodated where possible. We walk about 1 mile total. Tours last about 4 hours. All food and drink tastings included in the ticket price.Tour guide gratuity is customary and appreciatedTours are rain or shine so dress appropriately.Have a blast! Sanford’s and Greater Orlando’s first and foremost pedaled party and sightseeing bike! The Limo Cycle is a fun, social and relaxing way to experience the town while exercising. We offer groups the ability to bar hop while viewing extravagant architecture, historical sites and serene Lake Monroe. Groups of 8-15 people cruise on 2-hour rides giving a breezy and exciting view of historic Sanford. Our trained drivers steer you through the streets cruising with the power of your legs and feet! We take you to popular bars, restaurants and shops offering our guests an unforgettable experience.